Showing results for tags 'gpi pro'. WTB Pro Gimbal tool, based in Chicago and will pay shipping! What’s up everyone?! I’m looking to purchase a previously owned complete GPI pro kit, if there is one out there... please reply with any information that may lead in that direction! Thanks in advance! Brand new PRO vest for sale, light scratches on the front at the bottom. chest 42 , waist 32, I am 5'10" tall. Spare screw kit / T-handles included. Asking $5,500, Los Angeles local sale only. TWO GPI PRO BLUE CANISTERS. In Excellent Working and Cosmetic Condition. With PRO Canister Bag. Asking: $2400 each. Please PM or Text: JeffZach@mac.com. 760-505-7011 Thank you. Selling pro gimbal + long handle and telescoping Center post. Both are latest gen and recently serviced (last month). Price New is $9792 + tax/shipping Price is firm. Will split up: Gimbal 5500 Centerpost 2500 DM me or email me at nickmullercine@gmail.com Unfortunately only have rig photos to show as Im on the go but contact me and Ill have pictures of the parts separated shortly. Clicking-like sound coming from my gimbal? Hello! I recently was out in shoot in the desert when I noticed a clicking-like noise coming from what sounds like my gimbal, I own a GPI Pro rig if that info helps. Does anyone know any leads of what might be the cause of it? I noticed it particularly when i was walking with the rig. Thanks, Joseph H.
Hello, my dear steadicam gurus. 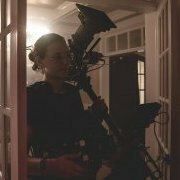 I just graduated from film school, (I am 23 right now) and I decided to go serious about my carrier as a steadicam operator. I've made some mistakes along the way to start this business, such as buying CAME-TV steadicam as my first rig, and buy many 3rd party accessories to minimize my budget. I know many of you criticize that this rig will not be acceptable in professional field, and initially I disagreed. However more research I do and more gig offers I get, I realize I do need better equipments that last long and perform effectively. In a way, I learned my lesson in a hard way. Now, as you can tell from the fact that I try to minimize my budget to start my carrier, I don't have much to start with, and especially not 30k-50k. I was about to give up on pursuing this carrier until I bumped into rent-to-own program and leasing options. I was looking into GPI Pro rigs, because it offered rent-to-own program while offering solid service, and it was the same for Steady Rig although they only sell arm component. Then as I research more, I realize I can talk to credit union to get loans if I want to get gears from other companies. This option will let me go on a track to be in the business, but as I am young and unexperienced with financial world, I am very concerned if I will be eligible for loans, so I am asking advice from folks who were also in same path as I was, I want to hear from your perspectives how you guys handled the initial budgets and which would you guys recommend me between lease, loans, and rent-to-own programs. On a different question, I am very new to upgrading sled with different components, so I want to know what is absolute feature in sleds that I should consider if I am choosing my first rig? For an example, I realize both MK-V J Box center pole cable and GPI Pro HD center pole cable would not fit in any rigs that is less than 2' diameter. So I know now that if I want to upgrade electric components in future, I must get a sled that is larger than 2' diameter. That's one feature that I learned to consider, but I want to know if there is anything that is essential features in sleds if I am considering upgrading in future to minimize expenses in the future. Thank you teachers, and any criticism and advices are welcomed. CineLive Tally as power option for SmallHD monitor? hey yall i recently picked up a SmallHD DP7 Pro OLED. It came with a 4-pin lemo - hirose power cable, which i wasnt planning on using, but then I realized that the 4-pin lemo fits into my CineLive Tally connector. The tally output on the sled (upper junction) is 12v. Is there any reason that this wouldnt work for my monitor? I am pretty ignorant about power, so I am hesitant to plug it in, as I just dont wanna fry this new monitor. If anyone has some experience with this, id love to know! brett. Tiffen J bracket for Pro arm?